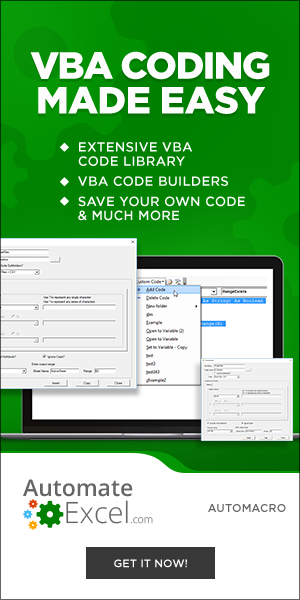 This VBA tutorial will show you how to work with Tables and ListObjects. 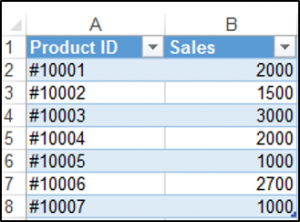 Tables are one of Excel’s most useful and powerful features, so in this tutorial, we will go over how to use VBA to create a table, add a simple sort to a table, filter a table and perform other table-related tasks. The ListObjects.Add Method can add a table to a worksheet, based on a range in that worksheet. We have the range shown in ($A$1:$B$8) on a worksheet called Sheet1. 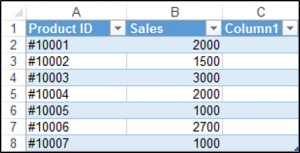 You can use the ListColumns.Add method in order to add a column to the end of your table. We have our table called Table1 shown below. 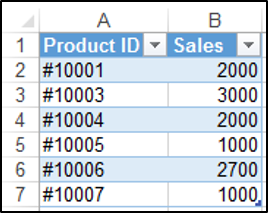 You can use the ListRows.Add method to add a row to the bottom of your table. We have our table called Table1 shown below. 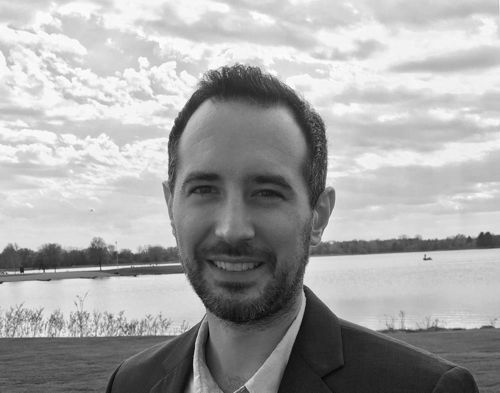 The following code will always add a row to the bottom of your table. You can sort a table with VBA. 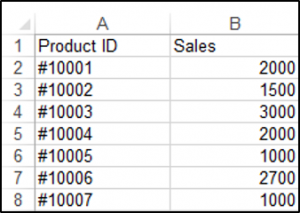 We have our table called Table1 shown below and we can use VBA to sort the Sales Column from lowest to highest. The following code will sort the Sales column in ascending order. You can also filter an Excel table using VBA. We have our table called Table1 and we would like to filter the table so that only sales of greater than 1500 are shown. We can use the Autofilter method, which has five optional parameters. 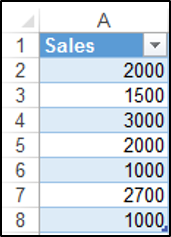 Since we’d like to filter the Sales column which is the second column we set the Field to 2, and we use the xlAnd operator parameter, which is used for dates and numbers. You can access the ShowAllData Method of the Worksheet class in order to clear the filter. 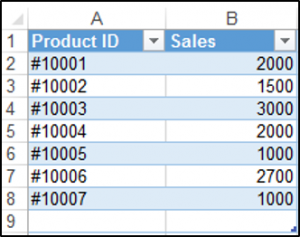 If it’s a table’s filter(s) that you want to clear, then you first have to select a cell in the table, which you can do in VBA. 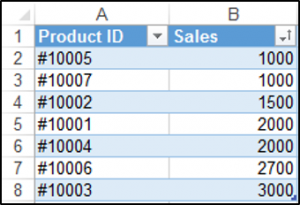 You can delete a row in the databody of your table using the ListRows.Delete method. You have to specify which row using the row number. We have the following table called Table1. You can access all the tables in your worksheet using the ListObjects collection. In the sheet below we have two tables and we would like to add a Banded Column to both the tables at once and change the font of the data section of both tables to bold, using VBA. One of the main ways to create a table in Access in VBA, is through using the DoCmd.RunSQL method to run an action query with a SQL statement. 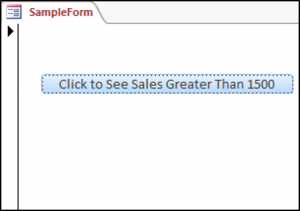 We have a button on our sample form and when we click on the button we’d like to create a table called ProductsTable with two fields or columns, one would be the primary key field called ProductsID and the other would be a field called Sales. &amp; "(ProductID INTEGER PRIMARY KEY, Sales Integer);"
You can also filter a table in Access using the DoCmd.ApplyFilter method. We have our simple table shown below in Access called ProductsTable. We would like to press this button on our form and then only see Sales that are greater than 1500.